Dancer Simon Renaud performs Solitudes Solo with Daniel Léveillé Danse on Oct 23-24, 2015 at the Harboufront Centre Theatre. We chatted with Simon while on a cross-Canada tour with the company. From tap dancing to astrology, Simon shares details about his early dance days in Ottawa and eventual audition with Daniel Léveillé Danse. DanceWorks: How did you became involved in dance? Do you remember your early experiences? Simon: My parents always wanted me to have a hobby and I tried many different things: baseball, diving, pottery, painting, drawing. It wasn’t until my parents saw an advertisement in the newspaper that invited boys to take a dance class that something finally stuck. I started tap dance when I was twelve years old and continued for eight years, adding jazz and ballet to my repertoire in the process. While I was looking for professional dance programs in Canada, I discovered contemporary dance. Through a program led by Sylvie Desrosier at the School of Dance in Ottawa, I encountered the endless possibilities of both contemporary dance and contemporary art. We were not only dancers performing a routine after 5-6-7-8, we were artists. DanceWorks: You are also a choreographer – can you tell us about the work you are most interested in creating? Simon: I am interested in details. The slowness and awareness of the body of the performer (which offers to the audience so many different textures and landscapes), and trying to create images where the audience can find a way “in”. For example, a trigger to a memory but also an abstraction so the audience can relate to something as an individual, as opposed to a communal pound of “pop” culture. 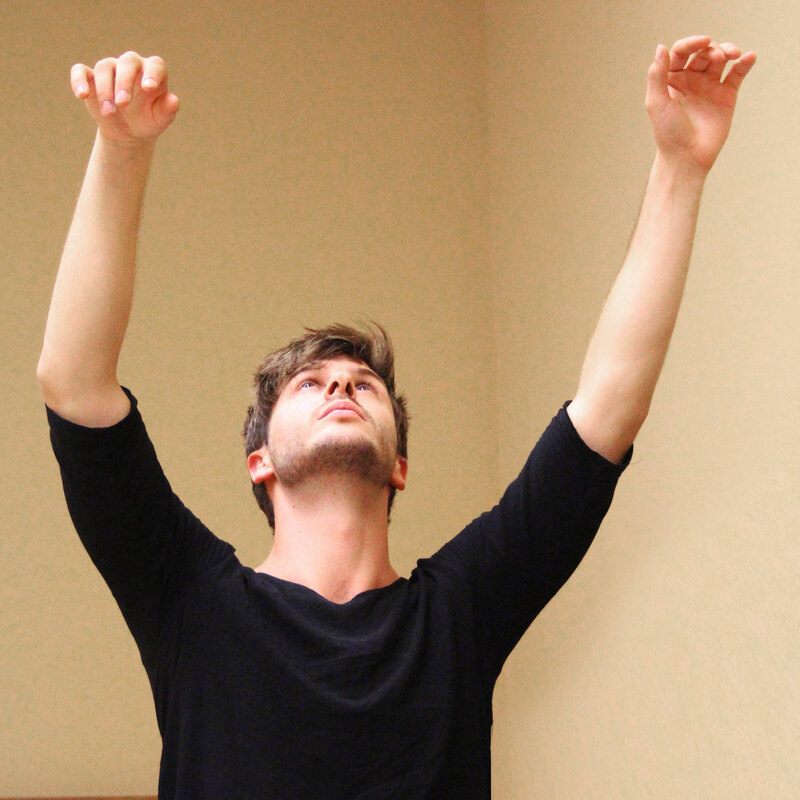 DanceWorks: How and when did you meet Daniel Léveillé? How did you become part of the company? Simon: I met Daniel Léveillé at a company audition during the summer of 2014. Daniel immediately asked about my astrological sign and seemed quite surprised that I was a Scorpio. I was asked to be a part of the remount of Modesty of the Icebergs. During that process, I learned about the dancers (all of whom had been working with Daniel for many years) and I was also discovering Daniel through the eyes of others, his work, and the evolution of it. As trust began to build between myself, Daniel, and his team, I was eventually invited to understudy Solitudes Solo and be a part of his latest work, Solitudes Duo. DanceWorks: Thank you so much, Simon. We are looking forward to seeing you perform in Toronto.